Stock # NEC09224, Intercooled Turbo Diesel V-8 6.7 L/406, Automatic, 31731 mi. Satellite Radio, Back-Up Camera, 4x4, iPod/MP3 Input, Smart Device Integration, Onboard Communications System, CD Player, Turbo, ENGINE: 6.7L 4V OHV POWER STROKE V8 T... WHEELS: 18 SPARKLE SILVER PAINTED CA... Alloy Wheels CLICK ME! ENGINE: 6.7L 4V OHV POWER STROKE V8 TURBO DIESEL B20 manual push-button engine-exhaust braking and intelligent oil-life monitor, 34 Gallon Fuel Tank, 3.31 Axle Ratio, 175 Amp Heavy Duty Alternator, Dual 78-AH 750 CCA Batteries, TIRES: LT275/65RX18E BSW A/S (STD), TRANSMISSION: TORQSHIFT 6-SPEED AUTOMATIC (6R140), SelectShift, WHEELS: 18 SPARKLE SILVER PAINTED CAST ALUMINUM bright hub covers/center ornaments (STD). 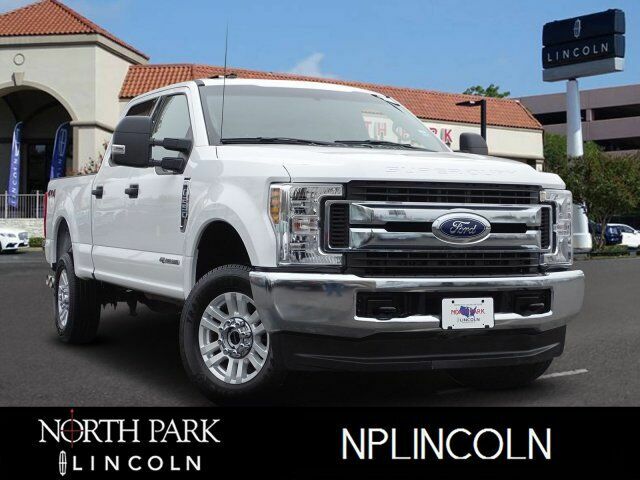 2018 Ford Super Duty F-250 Pickup with Oxford White exterior and Medium Earth Gray interior features a 8 Cylinder Engine with 450 HP at 2800 RPM*. Non-Smoker vehicle.